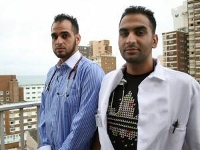 Durban – When Irshaad Saley matriculated with three As at the Orient Islamic School, Durban, in 2008, he had high hopes of joining his father and older brother in the field of medicine. But application after application that he sent to medical schools in South Africa all came back with “We regret to inform you” letters. Rejected and dejected, Saley thought his dream of being a doctor was over, until he researched his options and discovered that the Shandong Medical University in China offered courses to international students. Saley, who is now in his fifth year, is one of a growing number of South African students who are looking to study medicine overseas as it becomes harder to get into university because of the high demand and quota policies. On the advice of his father, a general practitioner of Barberton in Mpumalanga, Saley and his brother, Ebrahim, who matriculated in the same year as him, applied at Shandong and were accepted. “At first it was challenging adapting to a new country and living there. But it has turned out to be a really good decision,” Saley said. “What makes it even more appealing is that is allows people to learn Mandarin, which is one of the world’s most widely spoken languages, and also learn about Chinese medicine, which is a bonus,” he said. Last year, Saley said there were more than 150 South Africans studying medicine at the Shandong Medical University and he expected the number to grow. While studying for his final exams this year, Saley is helping to facilitate students who want to study at Shandong. “I help them with everything, from filling in the application forms and even flying with them to China if they want. “I know the feeling of being rejected and want them to know that it is still possible to pursue your dreams,” he said. Saley said that after writing his final exams in March, he planned to return to South Africa, write the South African Medical Board exams and practise medicine alongside his brother and father.